My love of music runs pretty deep. I remember, as a kid, wanting to rent Julie Andrew’s live version of Cinderella every single time I was sick from Blockbuster. It was my go-to movie. And as I got older I would sit and watch My Fair Lady, The Music Man, and others constantly. And when I wasn’t watching them I was listening to the soundtracks. I’m sure it drove my parents crazy (actually, I know it did). The one thing I hoped for when I was pregnant was that I’d pass on my love of music to our little one. I’ve always loved music, and listening to live music or watching others perform on tv always helps me relax. It seems like the little man gets that from me because nothing calms him down like me singing to him. So to celebrate that, I made him his very own musical onesie. Because, why not? There have been many nights where I’m up at all hours of the night trying to get the little man to go to sleep. He has a terrible time winding down, and no amount of me singing, shushing, or rocking can get him to close his eyes and fall asleep. It’s exhausting. On those nights, I put my laptop in the nursery so I can turn it on and watch some of my favorite shows while I’m rocking the little guy. Since nothing seems to calm him down like a good song, I usually pull up NBC on my computer and tune into the latest episodes of The Voice. He loves it! His little eyes get all big and he is my happy little guy right up to the time where he finally falls asleep in my arms. 1. Cut out your design (remember to flip it horizontally!) and then weed the excess vinyl, leaving only the design you want to put on the onesie. 2. Place the design on your onesie and then place a pillowcase over it while you’re heating up your iron. 3. Place the iron on top of the pillowcase and press down as hard as you can for 45-60 seconds. 4. Remove the pillowcase and the peel up the transfer paper off the onesie. 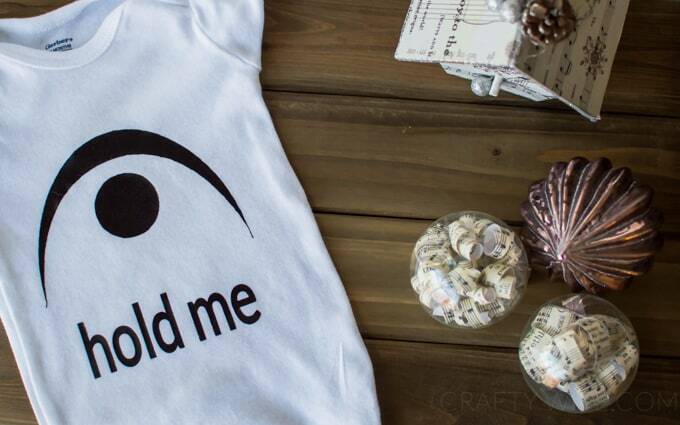 Your design should be stuck to the onesie now! 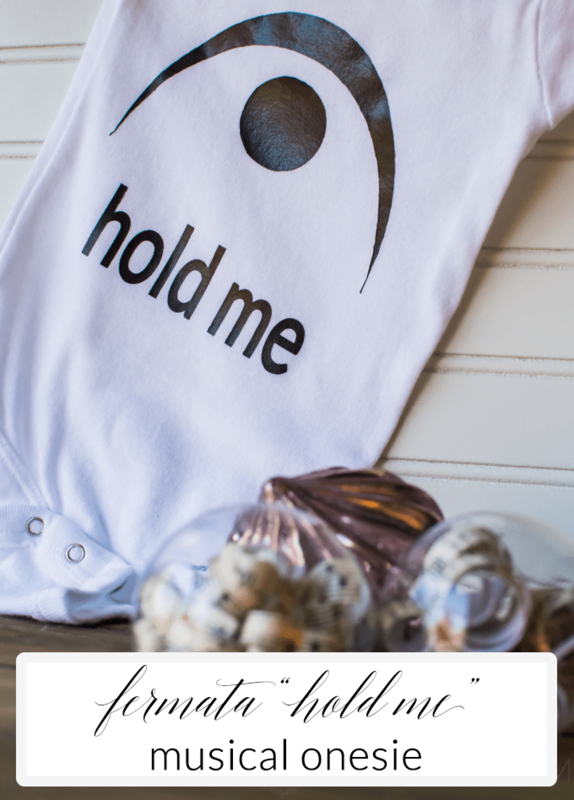 If parts aren’t sticking to your onesie place the transfer paper and pillowcase back on your onesie and continue pressing with your iron until the design sticks! NBC TVEverywhere really comes in handy on those nights when the little guy just doesn’t want to go to sleep! It gives me something to do while I’m spending time with the baby, and I know that these are the times I’ll never forget. I also know that at some point, years down the road, I’ll miss those late nights. For now, I’ll survive them binge watching episodes of The Voice and drinking lots of coffee. And dream of the days when sleep used to come so easily! You can click on the image below to catch up on the latest episodes of your favorite NBC shows! How did you survive the late nights with your little ones? I watched all of my favorite musicals in my first week of maternity leave! We love The Voice too!